Astrologers say that the total eclipse that we will be experiencing on July 21, 2009 will be the longest of the 21st century. It will be widely seen all over the world and it will last six minutes, which is incredibly long. Furthermore, the eclipse is taking place in conjunction with a New Moon that is also in Cancer, which means that it will definitely signify a new beginning for many zodiac signs. Eclipses often mean wiping the slate clean for the future. If that is true, this one is quite a doozy. Furthermore, this eclipse is in a tense alignment with Pluto, which is the planet of transformation. Cancer is a homey sign and it rules our private life and family. Pluto rules our secret selves and what we do in private with a loved one. Many people may see a break-up in relationships at this time or old traumatic issues come back to haunt us. It also does not help that five planets are retrograde at this time. Many people will be focusing inwards rather than outwards. In the end, this is a good thing but because of the tense relationship of Pluto to the moon, the transformation may be slow and painful for many. This type of eclipse’s influence is expected to impact us for at least six months. Here is an idea of how the Total Solar Eclipse could affect your zodiac sign. This eclipse could be quite traumatic for your sign when it comes to real estate. This is because it takes place in your fourth house. You might change residence, be force out of a residence because of a wealth shortage, or have to renegotiate a mortgage in order to keep a home. Yet another area that this influences is your health. You could have a wake up call regarding a physical problem or be forced to finally seek help for a chronic condition. The key is to not make a big drama of any negative events that strike you as so many other people are going through the same experience as you. The challenge for your sign in the next few months will be how to stay emotionally in control in troubled times. This eclipse takes place in your second house, which rules sensory impressions and thinking. This new moon could bring a complete change in your perceptions regarding the past. This could result in leaving a toxic or old relationship for a fresher, more supportive one. For the next six months, you may also be more accident prone because your mind may feel like it is somewhere else. You may be less in control of your emotions than usual and it may take some effort to think with your head rather than your heart. Still, your intuition is the sharpest it will ever be in your life and, if you have to make a romantic choice, be sure to choose the future over the past. This eclipse brings you a new start when it comes to the quality of your life. You may finally have the chance to make a home your own. Your secret thoughts and desires could also come true, particularly when it comes to one very important relationship. You may also have some deep insights into the nature of a union that has been troubling you, especially if it has to do with addiction. You may find the courage to break away or become less attracted to a person that may not be such a great influence on you. The eclipse is in your second house, which also has to do with your identity and also your health. Cancer is a sign that means health and regeneration, so a long term health problem may suddenly be resolved. This eclipse is also a New Moon in your sign, so it will hit you the hardest of all. It takes place in your first house of self, which means you can expect be changes on all front. You may literally be developing a “brand new you” for the next six months. The best way to take whatever comes your way as a brand new start in life. If you have addictions, this is likely when you will hit rock bottom and find a way to reinvent yourself. Job loss is also possible. 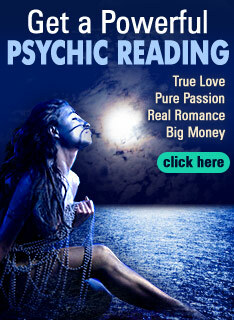 However, the upside is that you will likely experience increased psychic abilities. This is a great time to seek therapy or simply pamper yourself more. Plans to become more physically fit are also more likely to succeed in the near future. You should also be more careful when you are around water the next six months and also keep an eye on your treasures and your wallet, as you are more vulnerable to thieves right now. Big changes are in the wind, as the eclipse takes place in your twelfth house of secrets and personal transformation. If you have a personal problem or addiction that has not been addressed, then you may hit some type of rock bottom that will force you to finally take care of it. This could be precipitated by the loss of a relationship or financial security. If you have been deceitful, you may also run into some problems as your secret could be revealed at this time and also provoke some upsets in your personal or professional life. Many of you will be doing some kind of penance over the next several months, whether it be correcting a wrong done to someone you care about or paying back an outstanding debt. You will probably find that you will be working longer hours than usual in order to make ends meet and make sure that you and your loved ones are living well. This eclipse may bring the realization that you have been a bit selfish lately. If you are in a relationship that is adversely affecting your family, you will be told so. Many of you are also at risk of losing your job or a property as you have made personal choices that have caused others to mistrust you. The eclipse is in your eleventh house, which rules how others see you, so be prepared to do some self promotion so that others see you in a positive light – this could be especially important when it comes to your job. If you are dealing with a depression or emotional exhaustion, this is also a good time to get some therapy. Be prepared to work very hard to reach your goals as times are tough for everybody over the next few months. Still, you will find that not everyone is as heartless as they seem, if you find the courage to reach out and ask for help. Expect a shake up when it comes to your career. This solar eclipse takes place in your tenth house, which rules your job prospects. For some Libras, this is going to mean a loss of job, but eclipses often have a noble purpose behind them. You will be led to something bigger and better within the next six months. For some, the ending of a familiar situation could feel quite nasty and charged with emotion. It may be difficult not to burn all of your bridges behind you. In fact, it might be quite necessary in order for you to not feel smothered by a particular situation. You may also find yourself needing to fix some damage done to your reputation. The key is to stand up for yourself without provoking those who may want to harm you. Staying away from gossip is also key to your success in the next six months. This solar eclipse occurs in your ninth house of spirituality, so you may feel a bit burnt out. You may feel very sick of your intimate relationship or consider family members to be too toxic to deal with anymore. People and their problems may be making you feel insane. The next six months is probably a time of isolation and deep thinking for you. It will be an excellent time to pursue psychoanalysis, matters to do with religion or the occult, or to simply regenerate your body and soul in general. It may be important for you not to pursue a major relationship at this time. Relationships from the past, especially ones where addiction has played a role may also be challenging. A change of residence is definitely in the wind for you as this eclipse takes place in your eighth house. Many of you will be buying or selling property or something very big, like a business. Many of you may also find yourself handed the job of being the executor of an estate or having to deal with responsibilities that have to do with birth or death. This may also be a “make it or break it” time if your relationship is in trouble. Some of you may be challenged to leave a toxic relationship. You may also not be able to travel as much as you like in the next six months ad there may be renovations and repairs to do at home. Problems with water or flooding on a property are also likelihood. You may experience a lot of trials to do with your friends and also family relationships for six months after this eclipse. This is because it takes place in your seventh house, which has a lot to do with how others perceive you. This may definitely be a time when you feel misunderstood because others will have their perceptions of you colored by their emotions. It may be hard to have a conversation with some loved ones that is not charged with accusations or loaded with emotions. The best thing to do is try to avoid being a drama queen yourself and to try and take it easy if you are challenged or provoked. Plenty of rest is in order over the next few months as emotional problems could burn out your adrenal glands. Try to find time for yourself even though you are guaranteed to become quite busy. You may find children or pets are a handful thanks to this eclipse. Children of Aquarians are especially prone to problems at school, emotional challenges, and also drug and alcohol problems because of the moon’s placement in the sixth house. Yet another challenge could be dealing with elderly family members who insist on acting like children or who may even be suffering from regressive diseases that cause them to lose their memory or independence. Either way, you may find yourself shouldering the burdens of others over the next six months. You might need to be very brave during this phase in your life, as you may have to extend yourself both financially and emotionally to make sure that everyone that you love is taken care of. Being a water sign like Cancer, you may find this eclipse in Cancer to be very challenging. Money and resources will definitely be skimpy. The eclipse takes place in your fifth house, which is problematic simply because it gives you very little opportunity to have fun. You may find that you are constantly combining business with pleasure over the next six months and that it may be difficult to get a holiday of any kind. Other people will also insist on making their problems your business, which is going to be irritating to say the least. On the upside, your intuition will be greatly increased. This is a great time to pursue any interests that you have in religion or the occult. very accurate, except the being selfish on mine, virgo. I gave more than a year, and some days 24/7 to help someone that I loved, help with emotional problems, issues of all kinds. I ignored my needs and now he is in love with someone else, the same time he was proclaiming love for me. he dumped me and is with her now. happy. I am miserable and been suicidal and he ignored my cries for help. why must i constantly be hurt? why cant any man ever love me?